Hillary Jordan’s first novel, Mudbound, won the 2006 Bellwether Prize, a prize established and funded by Barbara Kingsolver in 2000 to promote fiction that addresses issues of social justice and the impact of culture and politics on human relationships. Jordan’s dark and unforgettable story of racism on a Mississippi farm at the end of World War II was a neat fit for this award, and winning it a considerable achievement for a debut. 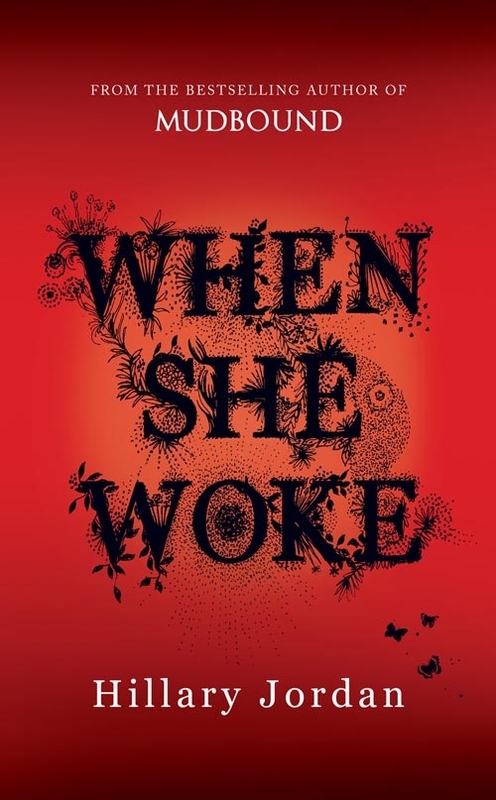 Now Jordan is back with When She Woke, another story exploring the impact of politics on women’s lives, which, with its oppressive scenario – updating The Scarlet Letter to a futuristic USA – inevitably invites comparison with Margaret Atwood’s The Handmaid’s Tale. American reviews have ranged from warm to angry. bookoxygen readers can sample the first chapter for themselves. She saw her hands first. She held them in front of her eyes, squinting up at them. For a few seconds, shadowed by her eyelashes and backlit by the hard white light emanating from the ceiling, they appeared black. Then her eyes adjusted, and the illusion faded. She examined the backs, the palms. They floated above her, as starkly alien as starfish. She’d known what to expect – she’d seen Reds many times before, of course, on the street and on the vid – but still, she wasn’t prepared for the sight of her own changed flesh. For the twenty-six years she’d been alive, her hands had been a honey-toned pink, deepening to golden brown in the summertime. Now they were the color of newly shed blood. She felt panic rising, felt her throat constrict and her limbs begin to quiver. She shut her eyes and forced herself to lie still, slowing her breathing and focusing on the steady rise and fall of her belly. A short, sleeveless shift was all that covered her, but she wasn’t cold. The temperature in the room was precisely calibrated to keep her comfortable. Punishment was meted out in other ways: in increments of solitude, monotony and, harshest of all, self-reflection, both figurative and literal. She hadn’t yet seen the mirrors, but she could feel them shimmering at the edges of her awareness, waiting to show her what she’d become. She could sense the cameras behind the mirrors too, recording her every eyeblink and muscle twitch, and the watchers behind the cameras, the guards, doctors and technicians employed by the state and the millions watching at home, feet propped up on the coffee table, a beer or a soda in one hand, eyes fixed on the vidscreen. She told herself she would give them nothing: no proofs or exceptions for their case studies, no reactions to arouse their scorn or pity. She would sit up, open her eyes, see what was there to be seen and then wait calmly for them to release her. Thirty days was not such a long time. She took a deep breath and sat up. Mirrors lined all four walls. They reflected back a white floor and ceiling, white sleeping platform and pallet, transparent shower unit, white sink and toilet. And in the midst of all that pristine white, a lurid red blotch that was herself, Hannah Payne. She saw a red face – hers. Red arms and legs – hers. Even the shift she wore was red, though of a less intense shade than her skin. She wanted to curl into a ball and hide, wanted to scream and beat her fists against the glass until it shattered. But before she could act on any of these impulses, her stomach cramped and she felt a swell of nausea. She rushed to the toilet. She threw up until there was nothing left but bile and leaned weakly on the seat with her arm cushioning her sweaty face. After a few seconds the toilet flushed itself. Time passed. A tone sounded three times, and a panel on the opposite wall opened, revealing a recess containing a tray of food. Hannah didn’t move from her position on the floor; she was too ill to eat. The panel closed, and the tone sounded again, twice this time. There was a brief delay, then the room went dark. It was the most welcome darkness she had ever known. She crawled to the platform and lay down on the pallet. Eventually, she slept. She dreamed she was at Mustang Island with Becca and their parents. Becca was nine, Hannah seven. They were building a sandcastle. Becca shaped the castle while Hannah dug the moat. Her fingers furrowed the sand, moving round and round the rising structure in the center. The deeper she dug, the wetter and denser the sand and the harder it was for her fingers to penetrate it. ‘That’s deep enough,’ Becca said, but Hannah ignored her sister and kept digging. There was something down there, something she urgently needed to find. Her motions grew frantic. The sand was very wet now and very dark, and her fingers were raw. The moat started to fill with water from below, welling up over her hands to her wrists. She smelled something fetid and realized it wasn’t water but blood, dark and viscous with age. She tried to jerk her hands out of the moat, but they were caught on something – no, something was holding them, pulling them down. Her arms disappeared up to the elbows. She screamed for her parents, but the beach was empty apart from herself and Becca. Her face hit the sandcastle, collapsing it. ‘Help me,’ she begged her sister, but Becca didn’t move. She watched impassively as Hannah was pulled under. ‘Kiss the baby for me,’ Becca said. ‘Tell it –’ Hannah couldn’t hear the rest. Her ears were full of blood. 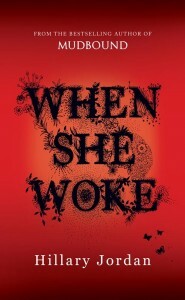 She started awake, heart tripping. The room was still dark, and her body was cold and wet. It’s just sweat, she told herself. Not blood, sweat. As it dried she began to shiver, and she felt the air around her grow warmer to compensate. She was about to nod off again when the tone sounded twice. The light came on, blindingly bright. Her second day as a Red had begun.